The government has adopted a set of measures aimed at achieving a target of doubling the number of visitors to Japan to 20 million in 2020, including tourist visa waivers to more Southeast Asian countries. While the Summer Olympic Games that Tokyo hosts six years from now will no doubt attract more inbound tourists, efforts need to be made so that the increase will not end up being a one-off boom for the event but a sustained upward trend. Inbound tourism is indeed one of the sectors where rapid growth can be expected in coming years even as the nation’s population declines. The number of foreign travelers to Japan rose 24 percent to exceed 10 million for the first time in 2013 — nearly double the level in 2002. Behind the recent increase is the rise in the number of tourists from Southeast Asia, where overseas travel demand has been pushed up by the rapid economic growth in many countries of the region. Asian tourists accounted for 77 percent of the total last year. Travelers from China are picking up despite worsening Tokyo-Beijing ties, while visitors from Thailand and Malaysia — for which Japan waived tourist visa requirements last year — are also increasing sharply. In addition to the yen’s fall that made trips to Japan more affordable, increased flights to Japan by low-cost carriers are believed to have contributed to the inbound tourism boom. Spending by foreign visitors increased 30 percent last year to hit a record ¥1.41 trillion. Still, Japan trails other advanced economies as well as Asian countries including China and South Korea in terms of inbound tourism. As of 2012, Japan ranked 33rd among countries around the world in the number of foreign travelers, with visitors to Japan at roughly one-tenth of those to France. According to the United Nations World Tourism Organization, international tourist arrivals, which grew 5 percent worldwide to 1.08 billion in 2013, is forecast to keep rising by 5 percent in both Northeast and Southeast Asia in the decade to 2020. 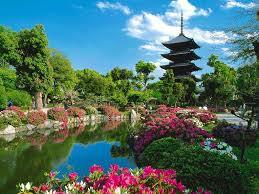 If the projection is applied, the number of tourists visiting Japan will reach 17 million in 2020. Whether visitors to Japan will increase as targeted by the government depends a lot on future economic conditions and international relations. We can only aim to increase the number by easing the conditions for visitors, and making the country a more attractive destination — by identifying what tourists expect of Japan and what Japan has to offer them. In an updated action plan to promote inbound tourism to meet the target of 20 million visitors, the government said it will grant visa waivers to tourists from Indonesia and simplify the visa-acquisition process for those from the Philippines and Vietnam. It also plans to create a new system in which wealthy visitors can stay in Japan for up to a year for tourism purposes. Also crucial will be efforts to diversify the destinations of foreign tourists in Japan. Currently, about 50 percent of them visit Tokyo, followed by Osaka, Kyoto and Kanagawa prefectures. The government’s action calls for doubling the number of duty-free shops, which are currently concentrated in big cities, to around 10,000 across Japan by encouraging shops in rural areas to register for the status. While this is a start, more substantial measures will be needed to attract foreign tourists to rural parts of the country.